Another Beautiful Day in Paradise. The skies were a little cloudy but cleared up, temperatures were in the low 80s and we had a little East breeze. 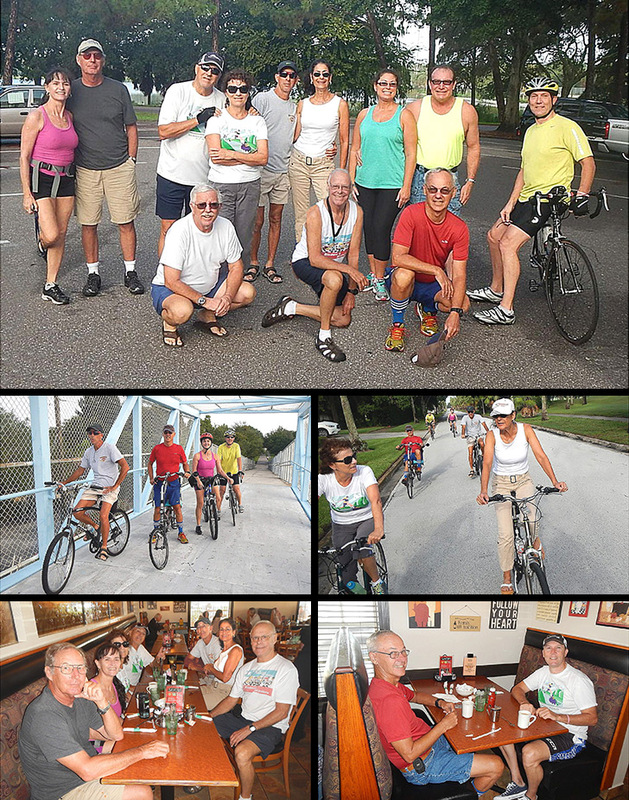 Bladers/Bicyclers Iara W, Roy H, Rick P & Ginnie S, Chris & Theresa V, Cindy B & Phil V, Michael E, Dee T, Bruce M and Jeff B came. Welcome all. There were still a few wet places here and there but we decided to have Roy lead us on the street route. Yes we did have to go around a couple of puddles and wet spots but we still had a fun time. Our round trip was 9 miles. All who went were on bicycles. We Brunched at the Savory restaurant as planned. We got right in and seated at two tables. Service was good and the coffee flowed freely. We had ratings from 9.6 to 11. We'll give Savory a 9.9.